Godzilla is back. 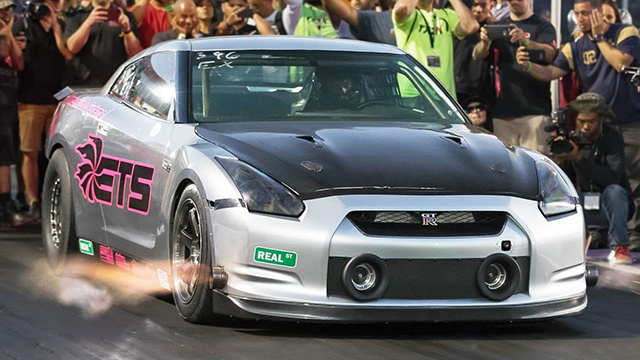 A souped up, stripped down, drag-ready Nissan GT-R from Extreme Turbo Systems broke the world speed record for the standing half mile by going 255.53 mph at the Pikes Peak Airstrip Attack in Colorado on June 19. Record-breaking Nissan GT-R from Extreme Turbo Systems. The previous record was held by a Lamborghini Huracan that clocked 250.2 mph only a month before, and the third fastest half-mile record holder is another GT-R.
Nissan GT-Rs are irresistible to tuners and performance shops like AMS Performance, English Racing and Extreme Turbo Systems because they can handle many times their standard factory output. 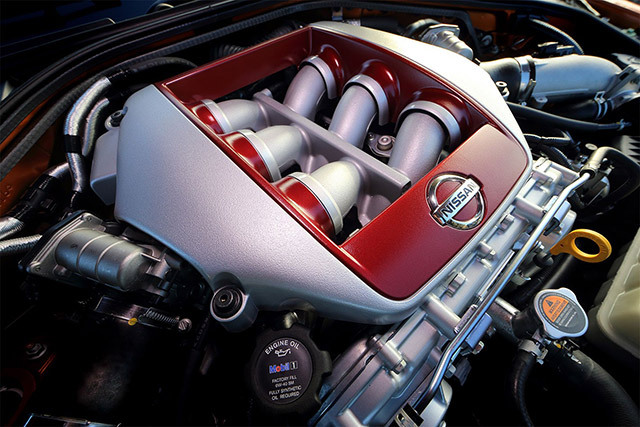 In the record-breaking 2009 GT-R, Nissan’s standard horsepower was multiplied fivefold by Extreme Turbo Systems to achieve an astounding 3000 hp. The oxygen-reducing high altitude of Pikes Peak Airstrip Attack (approx. 6,100 feet) robbed the vehicle of a couple hundred horsepower. But the thinner air reduced drag to balance things out. For Nissan GT-Rs, the record-shattering performance was quite a leap forward. It took the previously fastest GT-R a mile (twice the distance) to attain the same speed. 255.53 mph is mighty fast, by the way. For reference, today’s fastest-running passenger-carrying maglev train maxes at 268 mph. And the top speed of a Cessna 172 is 188 mph. Of course, Nissan GT-R lovers are hardly surprised that the object of their obsession has broken another record. In the 1990s, the GT-R (Grand Tourismo Racer) earned the nickname “Godzilla” for effortlessly crushing all competitors in Group A Series racing. 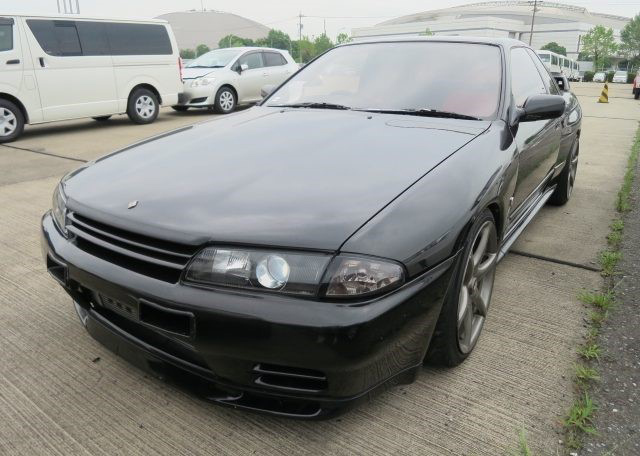 It gained a cult-like status that continues to this day for winning 29 consecutive races in the Japanese Touring Car Championship, taking three consecutive Australian Touring Car Championships, launching the JDM car scene, appearing in games and The Fast and Furious series, and playing a leading role in serious street and drag racing around the world. Fast enough to blow most supercars off the road. A gold standard by which other sports cars are judged. The only Japanese supercar of its generation and one of the best cars Jeremy Clarkson says he ever drove. Known as the “Hakosuka” for its boxy body, it has a passionate following even in markets where it’s extremely rare. To purchase and import a used GT-R from Japan — the absolute best market for finding the model of your dreams, contact Japan Car Direct. We’ll find what you’re looking for in good condition at a reasonable price.